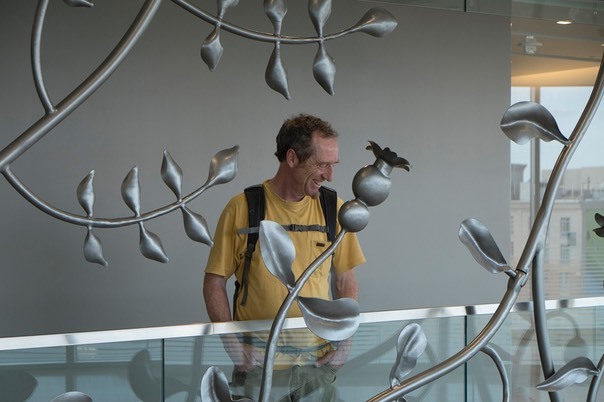 Flora Medica�Is a set of hand-forged steel screens installed alongside two three-story stairwells in the Headquarters of the Association of American Medical Colleges in Washington DC. �This shows one of the artists, Nick Lyle, among the pomegranates. �Designed, forged, fabricated and installed by Whitesavage & Lyle, 2014. �Photo By Jean Whitesavage.